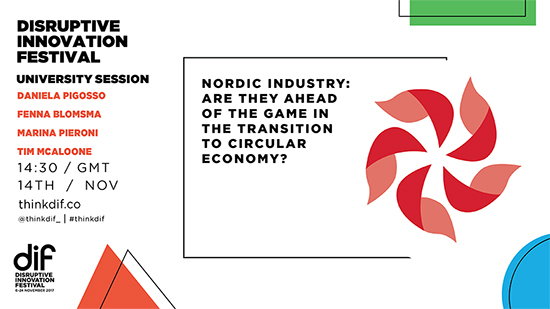 Nordic countries have become pioneers in the transition to Circular Economy (CE), and several examples of cross-sector circular business models are in place. Have they done it all? CIRCit hosted a DIF session on the DIF festival November 14th. The CIRCit project is developing a set of tools covering business models, product design, through-life monitoring, closed-loops and sustainability assessment for wider dissemination in the Nordic Industry to support their journey towards greater resource productivity. Join us and get inspired with success stories and new tools.